I love and defend Millennials about many things, but unfortunately Bauerlein has this right. He goes on to say that novels like the Twilight series (sorry Twi-hards), Fifty Shades of Grey, and the Harry Potter series are examples of Millennials’ immature tastes. Agreed– (except I do love Harry Potter). As Bauerlein puts it the Twilight series, “[intensifies] the ordinary shenanigans of teenagers to luridly high melodrama.” I totally agree, but still went to see the final installment of the series to spend time with my sister, who is not necessarily a fan. 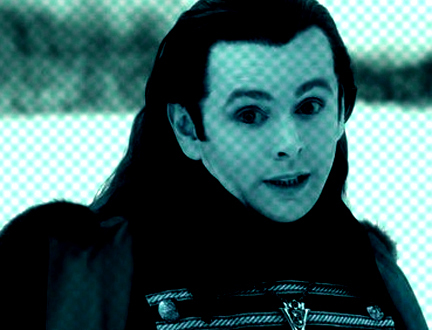 My opinion of the movie was summed up by RottenTomatoes movie critic Brett Michael of Boston Phoenix: “At a key point, coven leader Aro (Michael Sheen) lets out a spectacular laugh – which nearly drowned out my own.” That was my favorite part. The tone of the whole Twilight series is reminiscent of the hours my sister and I spent playing with Barbies as kids– except more predictable. Anyway, after the movie, I told my sister she should really read Jane Eyre, which I read this last Summer. She replied that Stephanie Myers apparently found inspiration for Edward & Bella from Jane & Mr. Rochester. I think this is a rather bold comparison. Speaking of comparisons, did you know Fifty Shades of Grey was inspired by Twilight‘s Edward and Bella? I hope we don’t keep recycling the same old overused plot lines. The problem is that Millennials aren’t broadening their entertainment choices enough to compare and know the difference between a classic, and a cliche. I won’t bemoan “kids these days” based on a few less than quality novels. As a Millennial, I know plenty of people who choose challenging movies, TV Shows, novels and biographies. After all, we are the most educated generation in American history. Still I do have some advice: If you don’t give up your beloved entertainment choices overnight, at least temper them with a few classics. Indulge your adolescent sweet-tooth on occasion, but don’t neglect a deeper part yourself that’s craving something fresh, and more complex. If you read the Twilight series, be sure to follow it up with Jane Eyre. The payoff of the novel is less accessible, but worth the effort, and I believe nourishes the mind at a deeper level. I can’t promise you that Mr. Rochester is as sensational as Christian Grey, Edward, or Jacob, but this novel is a classic for a reason. So keep an eye out, Millennials. I believe in you! Happy reading, watching, listening, or whatever keeps your mind and heart nourished. Any suggestions on movies, TV Shows, biographies, novels, or books on history, science, philosophy or religion would be greatly appreciated! What do you plan to read in 2013? The consequences of dumbed down populous will come to fruition and when it does, people will yearn for intelligence again. The reason international students do so well is because they yearn for a better life and recognize it is through intelligence and education they can improve themselves and others. The prosperity of this nation is threatened by novels like Twilight and 50 Shades of Gray because not only do they reflect the decline of American civilization’s desire to be intelligent, they contribute to the dumbing down of society through extremely shallow usage of language and story. Almost all American culture reflects a lowering bar and standard of quality. Good point! Thanks for the comment. Hopefully we will see a pendulum swing to deeper and richer literature. Any suggestions on movies/TV/books etc? Thanks for exposing this important trend! I also believe that Millennials are manifesting a huge shift in how people acquire information. A shrinking populace reads for leisure. They interact via media venues. The pacing of screen images is 7 times faster than it was 50 years ago. No time to contemplate or pause. To think. Story telling today is like taking a filet mignon and pureeing it into a steak latte; an accommodation to avoid intellectually chewing on things. To your point, shallow minds create simplistic solutions to complex and critical issues in life. Could this ‘willful adolescence’ [Bauerlein] be a gut response to a new age of anxiety? Is it reminiscent of the social antics of 1950’s America seeking a respite from the horrors of World War 2 and the advent of the Cold War? We live in an age of historic uncertainty and potentiality–for good and also absolute horror. Millennials are well informed and know when to be scared. Individually it is easy to feel overwhelmed and powerless. Sometimes disengagement is an attractive option. Thanks again for this thought provoking blog! Keep it up. I’ll be reading. Could this ‘willful adolescence’ [Bauerlein] be a gut response to a new age of anxiety? Is it reminiscent of the social antics of 1950′s America seeking a respite from the horrors of World War 2 and the advent of the Cold War? Interesting idea. I think it’s mostly due to a lack of effort on the part of Millennials to branch out to more challenging literature. But maybe it is a decision to “numb out” to avoid a world that is just too complex for easy answers, and that’s stressful to Millennials. Millennials are considered a Civic Generation, so that’s an interesting correlation to post-WWII era. Thanks for Reblog! I’m still waiting to hear of any reading suggestions, maybe your RB will help with that.